PNCA welcomes Michelle Grabner at the invitation of the MFA in Visual Studies program as part of the 2015-2016 Hallie Ford School of Graduate Studies Visiting Artist Lecture Series. This is Grabner’s first major public lecture in Portland since being named curator of the Portland2016 Biennial of Contemporary Art at Disjecta. She comes to PNCA at the invitation of PNCA’s MFA in Visual Studies program. 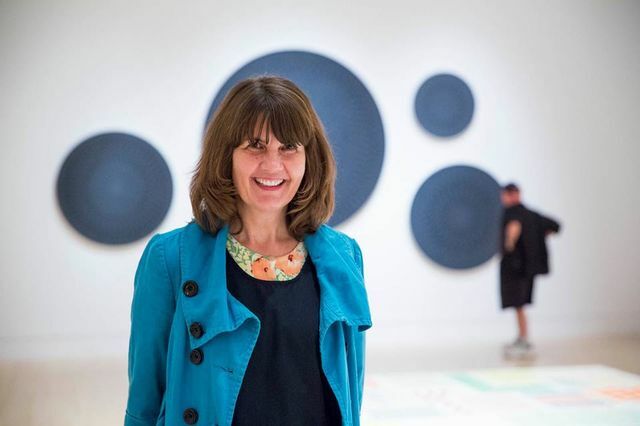 Michelle Grabner is an artist, curator, chair of the department of painting and drawing at the School of the Art Institute of Chicago, and director of the exhibition spaces, the Suburban and the Poor Farm. She also previously served as one of the curators of the 2014 Whitney Biennial. Grabner holds an MA in art history and a BFA in painting and drawing from the University of Wisconsin–Milwaukee, and an MFA in art theory and practice from Northwestern University. From 2012 to 2014, she was a senior critic at Yale University in the department of painting and printmaking. Grabner will introduce her work as a curator, artist, and community builder (through art spaces such as The Suburban and The Poor Farm). She will discuss how her background and interest in regionalism led her to become the curator of the Portland2016 Biennial of Contemporary Art. A moderator with join Grabner to lead a conversation about issues relevant to the location and community of the institution. Can’t make it to the lecture? Check out the livestream.